One of the scariest parts about being a toddler mom is not knowing whether you're doing everything you need to in order to best serve your child's development. Anyway, here I was with this baby looking up at me expecting me to entertain it and I freaked out. Hours later, my husband came home to me neck deep in a Google wormhole on educational child's play, completely terrified that I wasn't prepared enough to intellectually nourish our baby. After he had finished convincing me that the five minutes of unplanned of time that had happened that afternoon weren’t going to keep our baby out of Harvard, I was able to rationally research the topic in the right way. So, before you go off the deep end like I did, here are my top three pieces advice for how to help your toddler's development. The first thing I need to mention is the importance of play. Playtime is also excellent for developing their gross and fine motor skills (depending on the activity). If the activity they are doing requires concentration, such as problem-solving and careful placing of parts such as a puzzle, you are developing their mental capabilities and their fine motor skills. If they are running around and tagging each other, or dancing to themselves, then they are going to developing their gross motor skills. Both are just as important as each other as your child needs to make sure that they are developing these skills constantly. You do need to be aware though that there is no set pace at which this should be done. Some children take longer than others, but this doesn’t mean that they are slow or that they are not developing at all. It takes patience and support to help a child develop properly. I'll say this now, and again a million times over, the less you can compare your child to his or her peers, the healthier their childhood is going to be. It is very unlikely that your child will not be potty trained by the time they enter college. A few months in either direction right now really isn't going to make a difference in the long-term. Calm down, and try raising a happy kid rather than one with unnatural pressure on their tiny shoulders. 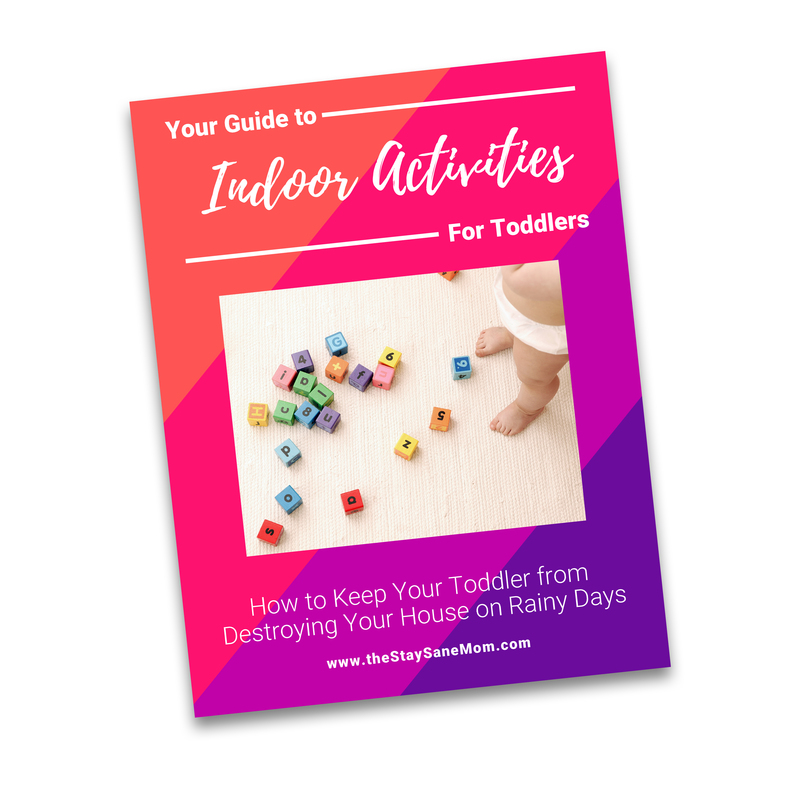 Bonus: I attached a free guide to literally hundreds of indoor play activities for your toddler. If you're running low on creativity, I've got your back. Trying to encourage your read is beneficial to your kid in a billion different ways. Fosters creativity, language acquisition, vocabulary, and logical thinking skills. However, it is not always easy. Sitting them down and reading a few pages of a book, or even a short book that they like is an excellent way for them to develop their reading and writing skills. But, it might be the case that your child loves stories, and yet reading is not their thing. In that case, you can always consider audiobooks as these can help your child develop their listening skills without the “sitting still” portion of the event. As an adult, you might find it difficult to listen to someone else reading to you because you prefer to read it yourself, but this might be the other way around for your child. You can also use this as a great nighttime activity before bed. Put on the audiobook and let your kid fall asleep to the sound of a good story. The most important part here is to make it fun. If you read books and make up silly dances they go with them, that's great. If your child wants to read one page 15 times over and never finish the book, that's great too. If audiobooks are your kid’s bag, that's fine too. The important part is making them loved the experience. This is what will keep them coming back for more. Teaching your children words and sounds is one of the fundamental building blocks of language acquisition. There are a lot of toys these days that can help with this, and you can find them in your local toy stores, but you can also do this yourself. Drawing pictures, writing down words and so on might be a good thing to try, and your kid is going to have a lot of fun learning! If you need an easy place to start, animal noises are always a fan favorite in our household. You can find a YouTube video of animals making their actual sounds if your kid is a visual learner. you can also tie this into reading, letting your child make the animal noises of whatever animals are pictured in the story. I'm also a big fan of finding songs my daughter loves. Though they don't always make sense. Yes, she loves baby shark, like every toddler on the planet, but she's also a huge fan of Radio Ga Ga by Queen and I Got You Babe by Sonny and Cher. All I care about is that she is learning to imitate the sounds in the songs and sing along. If she learns to clap on beat and appreciate good 80’s music while she’s at it, so be it. Parenting bonus. You don't need to panic so much about making every single moment educational and structured. Your kid is going to be fine. Put down the flashcards and step away from the red grading pen. Your kid will learn better (and be a heck of a lot happier) if you integrate learning play into their schedule than if you have them in a mini classroom at 18 months.